Let the kiddos dream in blissfull comfort under wonderful sof cotton. An escape to the magical land of dreams. 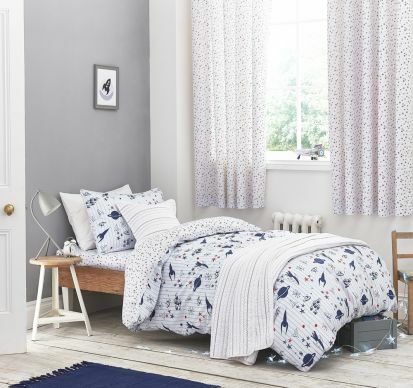 Specially soft to the touch finish pure cotton illustrative print bedlinen with fun intergalactic design ideal for a new fresh look with the added comfort of naturally breathable cotton.